I.Love.This. 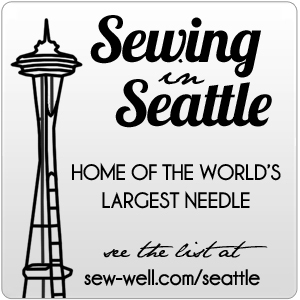 Originally written several years ago by Keri Smith, I think it is a great list of ways we sabotage ourselves as sewing-artists. 9. Do whatever the client/customer/gallery owner/patron/investor/ asks. At times, I have done each item on this list. How about you? 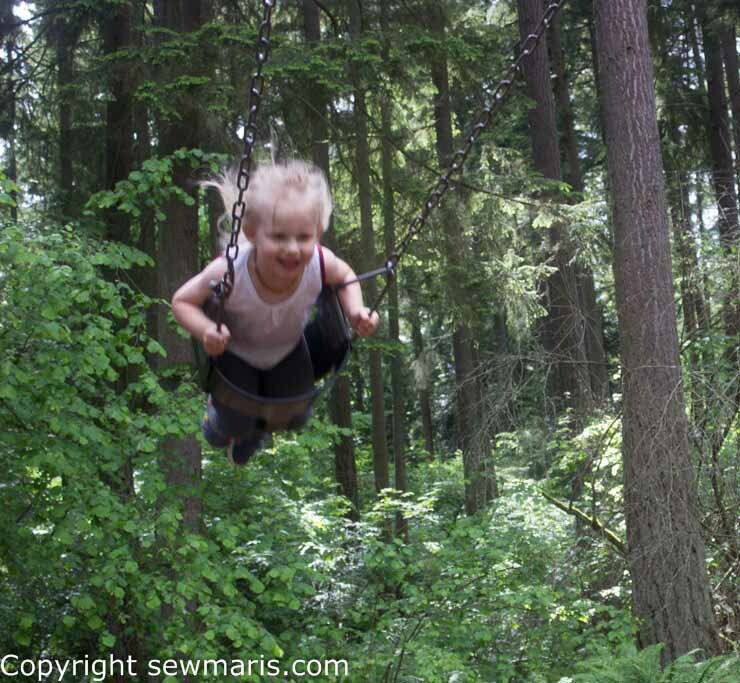 Any resonate with you? 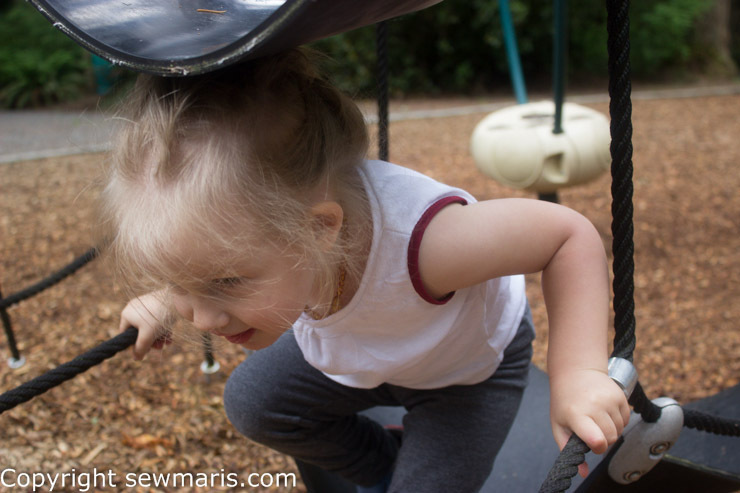 Are you still struggling with any or all of these behaviors? 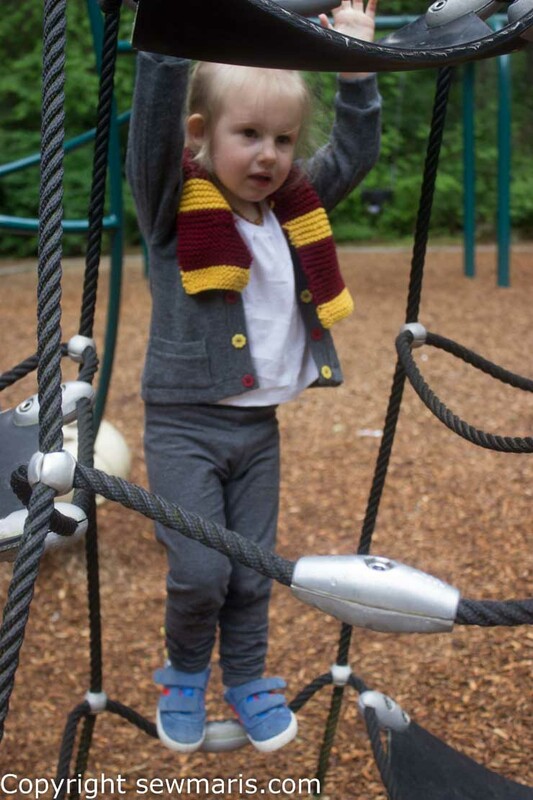 Hermione spends time in a pleated wool skirt and pullover sweater—hardly toddler-friendly clothing. I wanted to design an outfit that my DGD would love to wear, and also be comfie and hassle-free for daycare, the playgound, or running errands with Momma. After loads of sketches and discarded designs, I chose leggings, a simple pull-on top, and a cardigan sweater in a Hermione-inspired color scheme. I used a vintage Kwik-sew pattern (KS 2024) for the grey cardigan, and added gold and maroon buttons down the front bands for a little color pop. I had some grey sweater knit in my stash that was cardi-perfect. 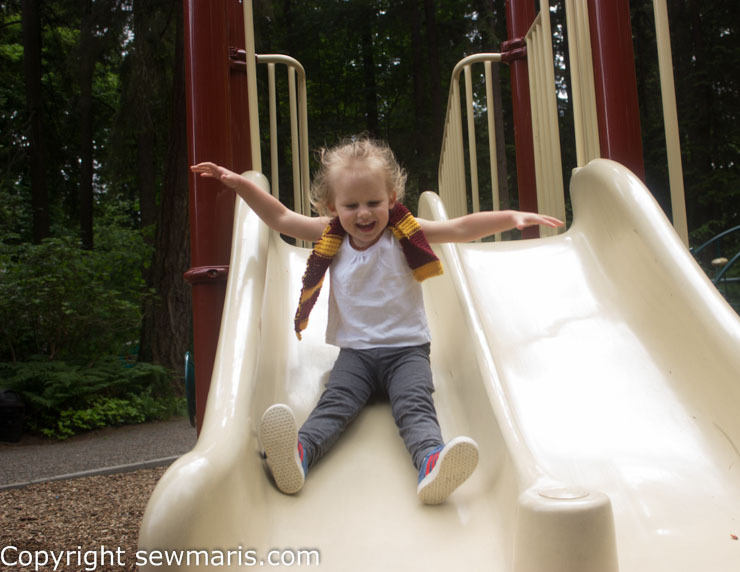 The white cotton interlock top was hacked from Selvage Design’s Soleil sundress pattern, and a bit of maroon fold-over elastic (FOE) trim around the armholes tied it into the Hermione-theme. Both the fabric and the FOE were also from my stash. 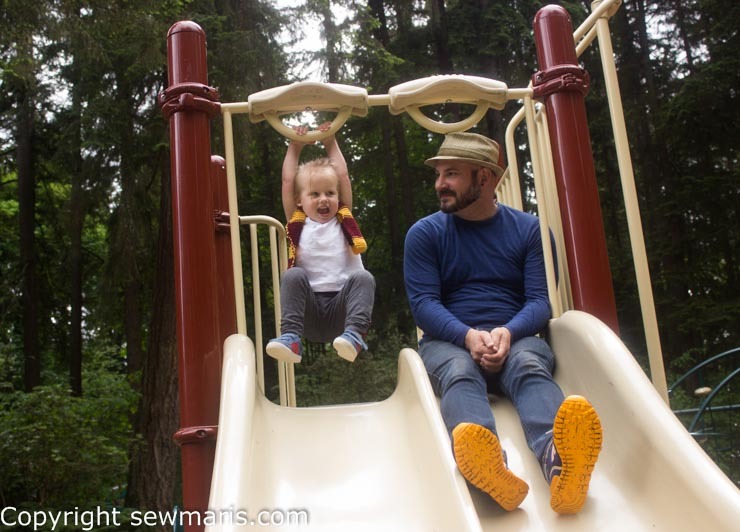 The leggings are from Oliver + S Playtime Tunic and Leggings pattern, and I ruched the legs and added matching gold and maroon buttons in a smaller size to give them a fun detail. And of course I had to knit a maroon and gold Hermione scarf! Amazingly enough my DGD loves the scarf! The legging fabric, yarn, and buttons were the only things I had to buy for this whole outfit. Wizards have to practice their flying skills, right? Oooh, sneaky, sneaky Oona escaped capture by squeezing through this tight little space! This whole project was a total win-win. 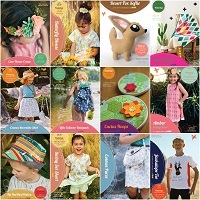 Oona loves her new clothes, they are definitely wearable for every day, and I loved being part of this fun Crafting Con challenge. Thanks again, Tasha, Maegan, Karen, and Amy! Happy sewing! 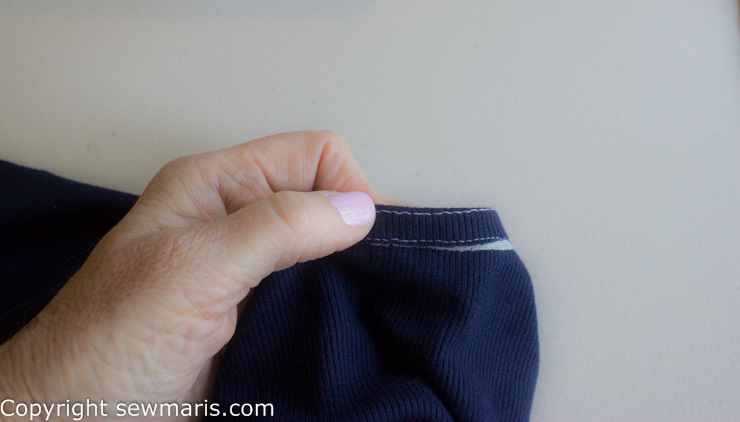 If your coverstitch machine has 3 needle positions, try using a narrow hem on soft knits. 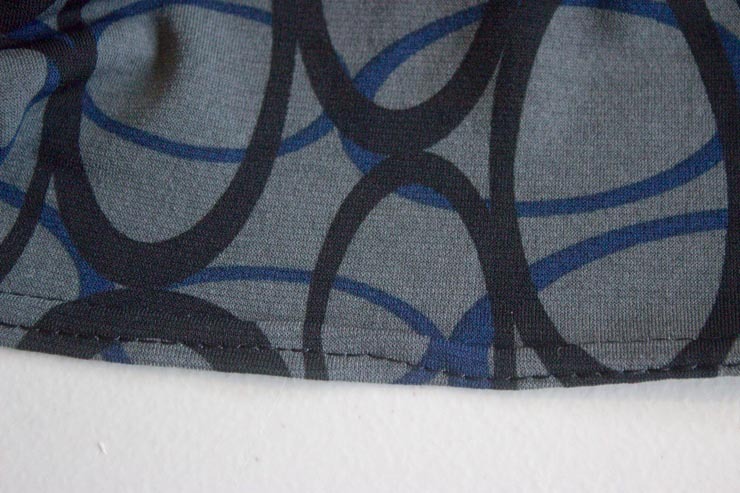 I was in the habit of always using the widest hem option on my coverstitch machine, but I have seen the light! 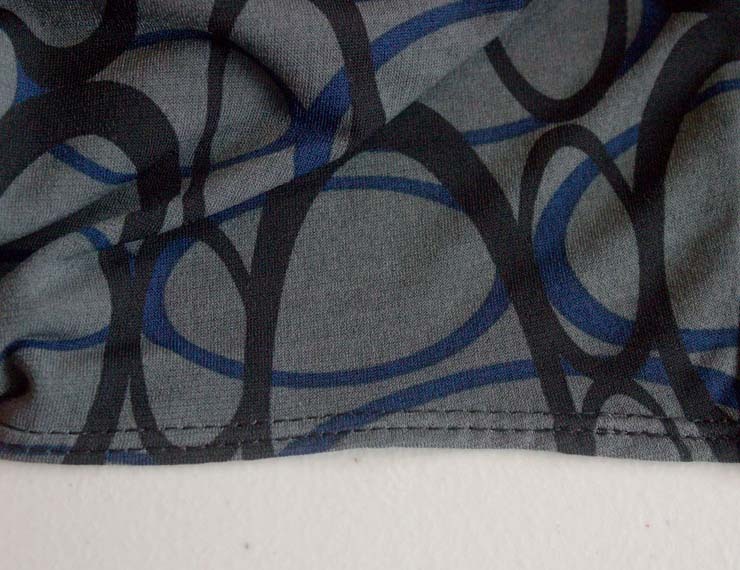 See the “tunneling” in the middle of the hem in the image above? Ahhhh, that’s better! I just figured this out! Give it a try. I think there are way fewer issues with hems “tunneling” when using a left + center needle position rather than the wider left + right needle position while coverstitching. Let me know what you think! 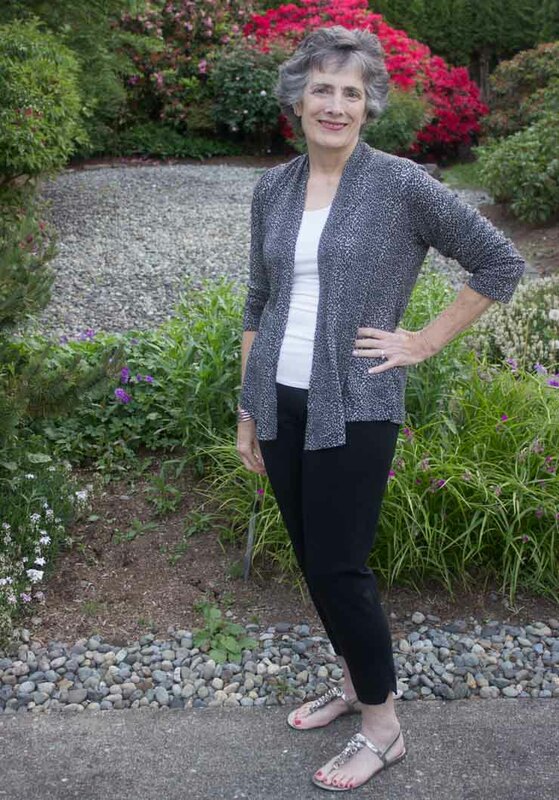 Check out this stinkin’ cute Cool Cardigan – Draped Front by Pamela’s Patterns. 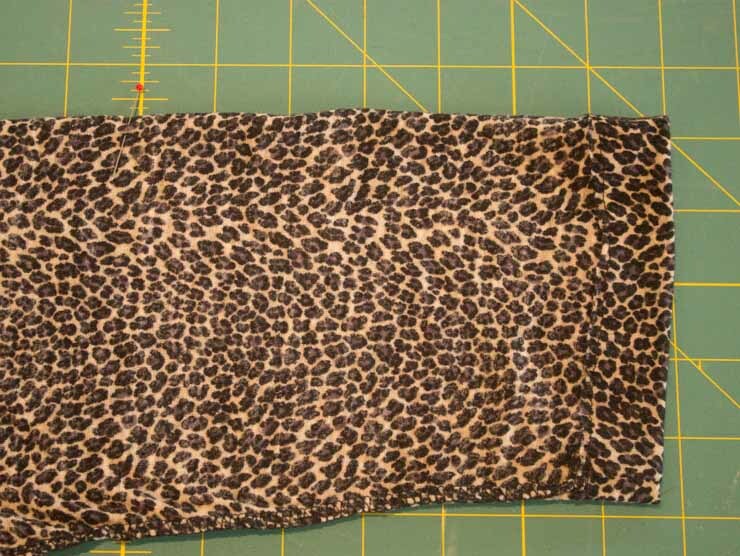 The fabric I used was a tissue-thin sweater knit in a quiet little cheetah print. Nothing over the top for me! Since I have not been so successful with mesh and other featherweight knits in the past, I was very hesitantscared to death to sew it up despite loving the print. By George, I think I’ve got it now. 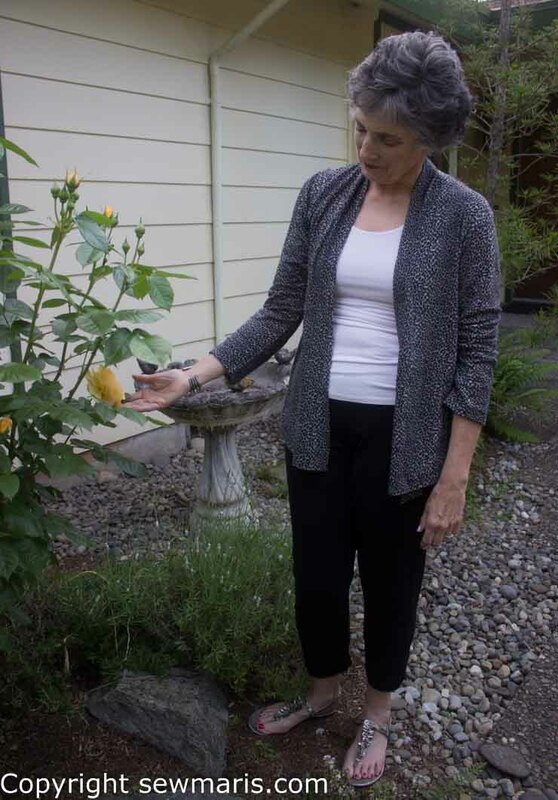 A better fitting pattern, a little less volume in the completed garment, a few construction tips from Pamela Leggett, and my sweater happiness quotient is up, up, way up! After wearing my new sweater for a bit, I decided to ruche the sleeves up so they are more of a 3/4 length. Long sleeves bug the heck out of me, so I don’t know why I even cut the long-sleeve version of this pattern. Besides, the ruched sleeves and the ruching at the back neckline on this sweater make me feel all girly and feminine when I wear it. 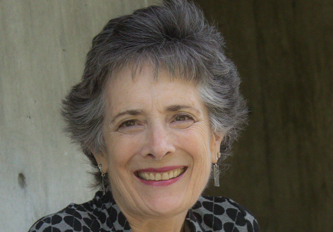 I would give Cool Cardigan – Draped Front an A. 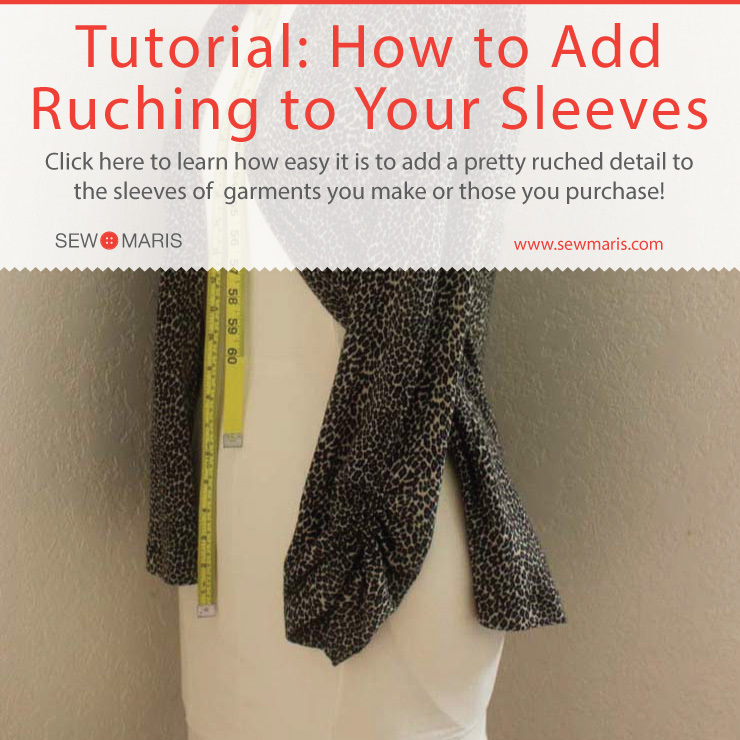 Give this easy pattern a try and let me know what you think, I’d love to hear from you! It is Friday and I think you are in the mood to read something that puts a smile on your face, amiright? 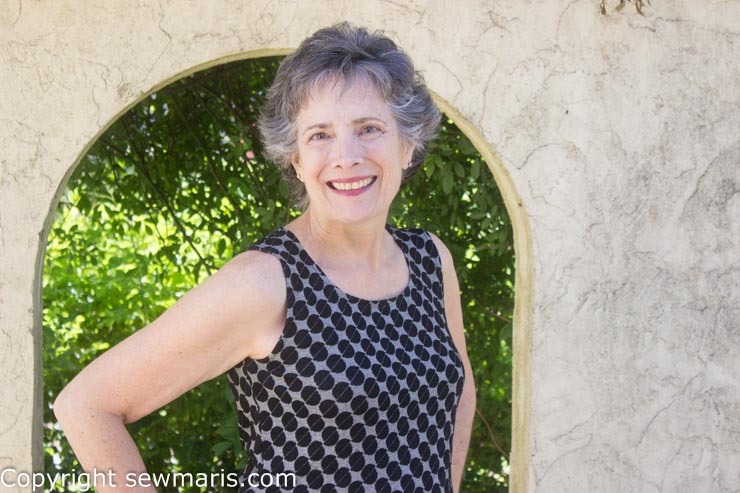 One of the most popular sewing projects in my studio is McCall’s 6787 knit dress. 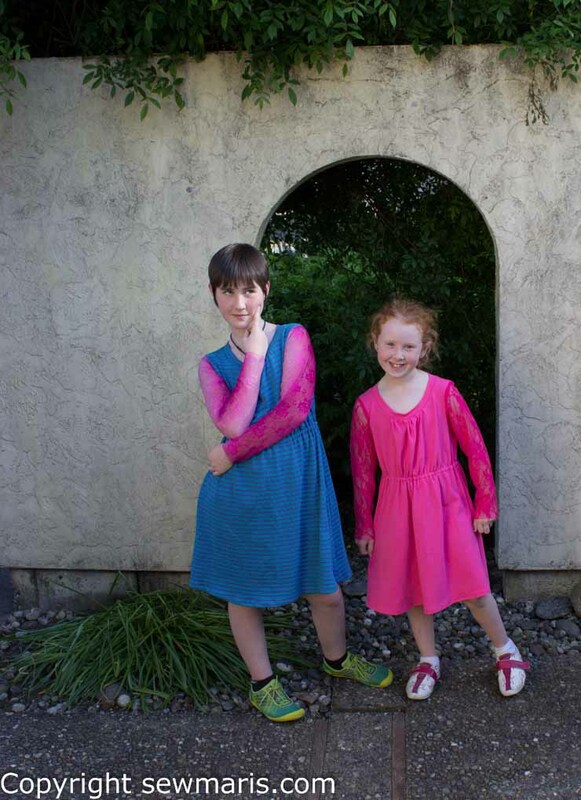 Girls just love to make it with stretch lace sleeves, which gives it a feminine and flirty touch. We have made it in some of the Kids Sew Camps, and some of my private students have also sewn up this pattern. The variety of looks they create is so much fun to see! 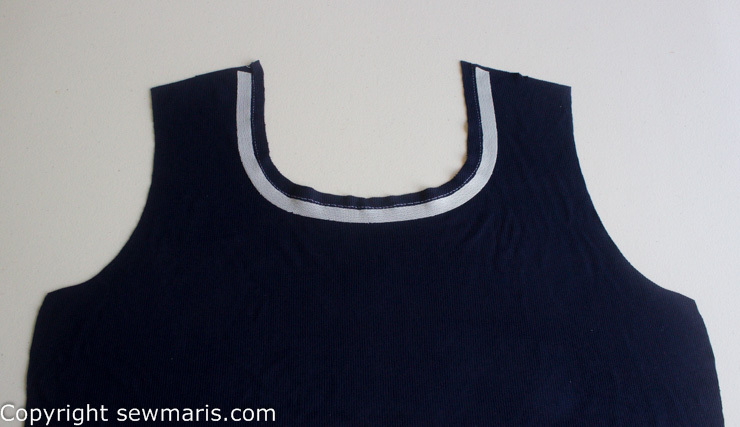 It is a pretty quick project—no zippers or buttons to fiddle with—just a quick pull-on dress. 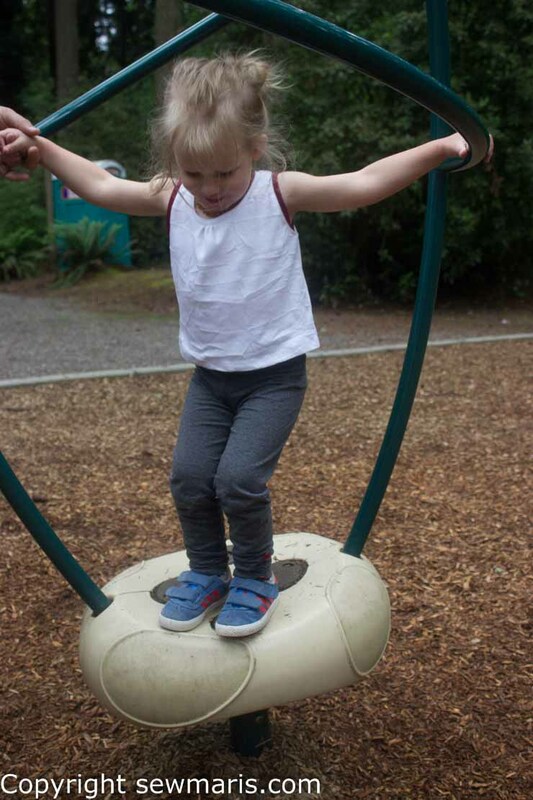 An elastic casing around the waist and a binding around the neck gives students some practice with techniques that are a little more challenging. 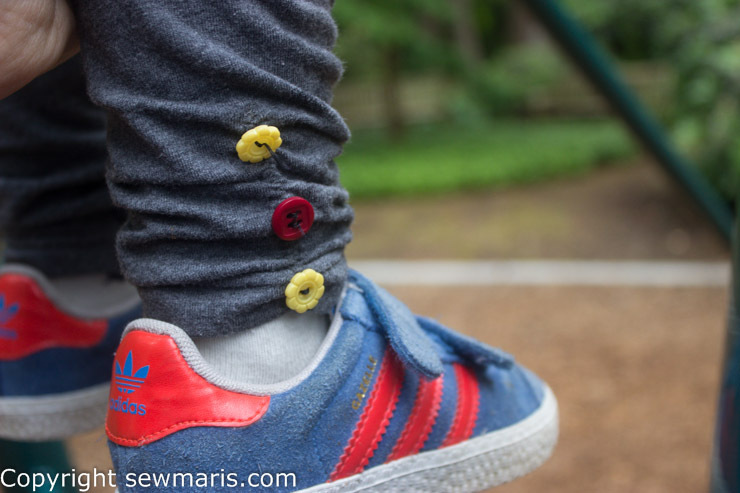 I try to encourage the girls to use cotton interlock or French terry, as these knits have a bit more “heft” and are easier than rayon/lycra or cotton/lycra for beginning students to manage. 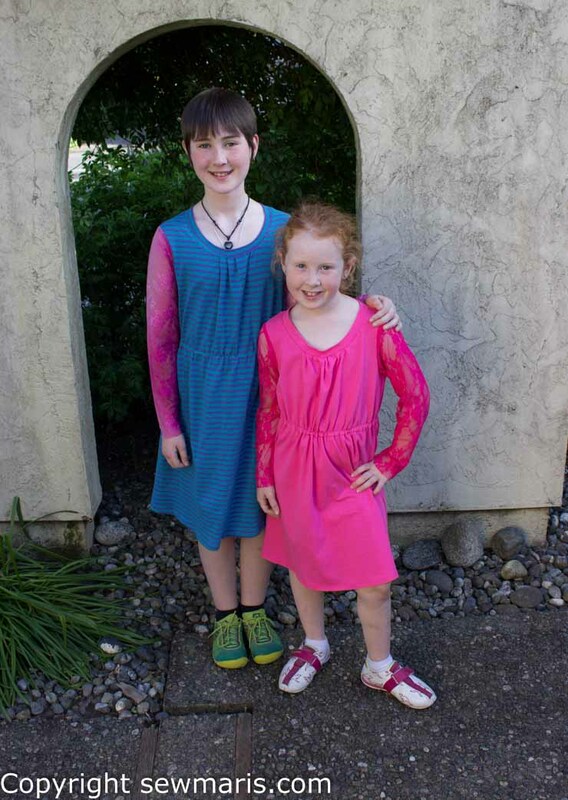 I love the bright colors these two gals used for their dresses. Some girls just can’t get enough pink, can they? 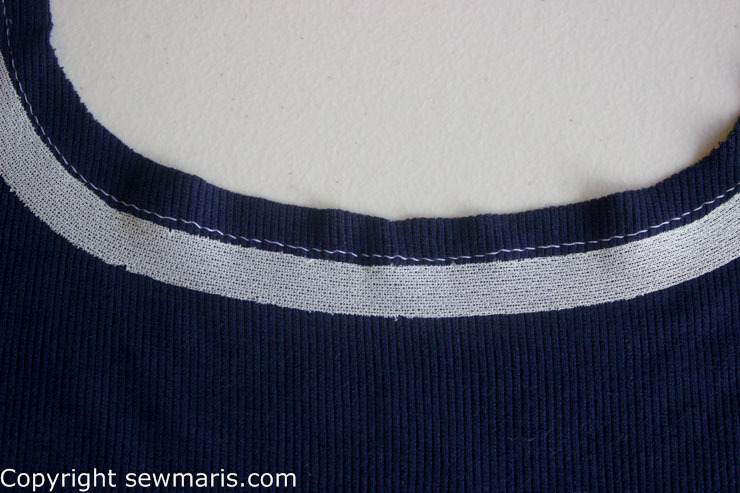 And the French terry blue & purple stripe is adorable! Love the pose, girls—you know how to rock it! Have a great Memorial Day weekend, and happy sewing! 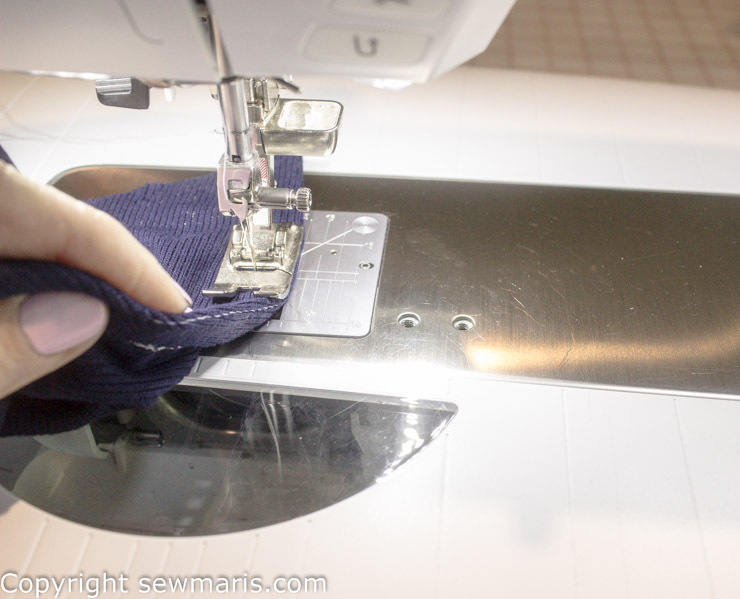 Have you ever tried serging the first stitching when you make a French seam? 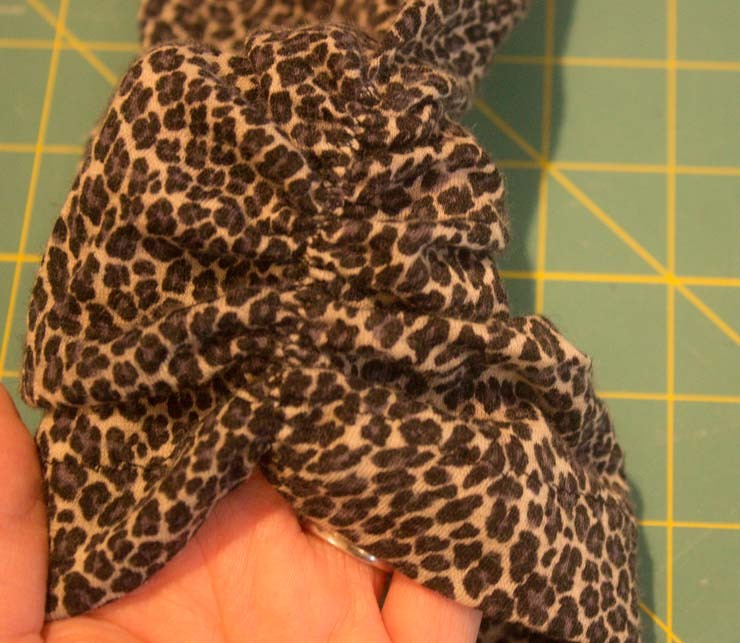 Pamela Leggett described this technique last weekend at our ASG educational event, and it reminded me of the serger heirloom sewing technique I learned in the 80’s. 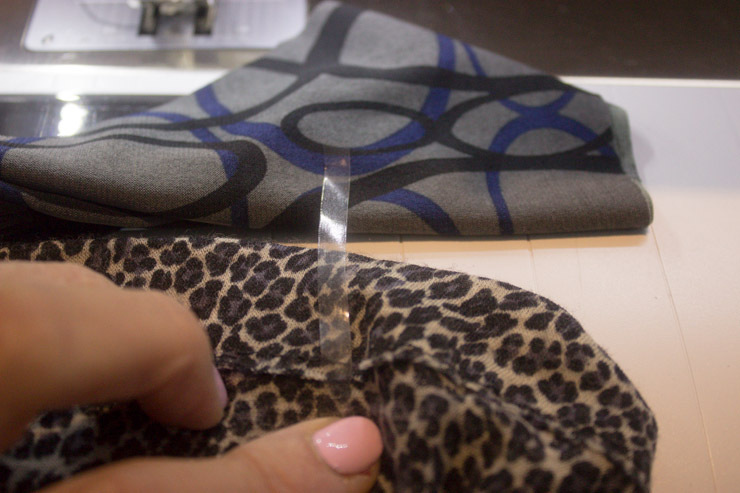 It is a fast and simple way to get a clean edge on the first French seam stitching. 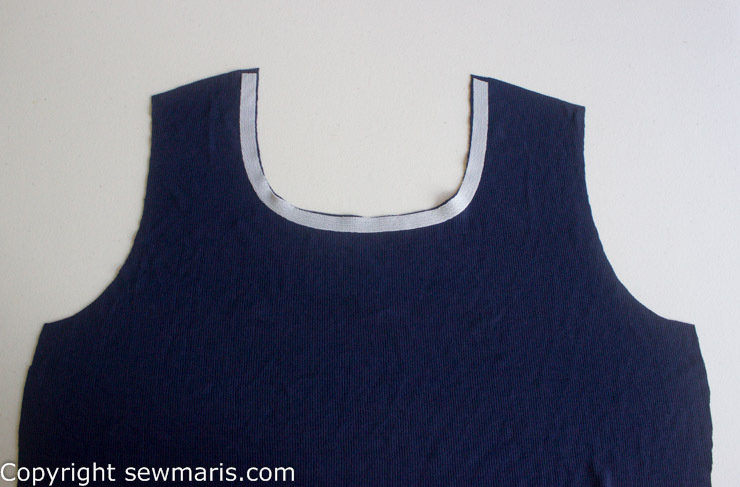 Just like a normal French seam, start with wrong sides together and serge a narrow overlock stitch. 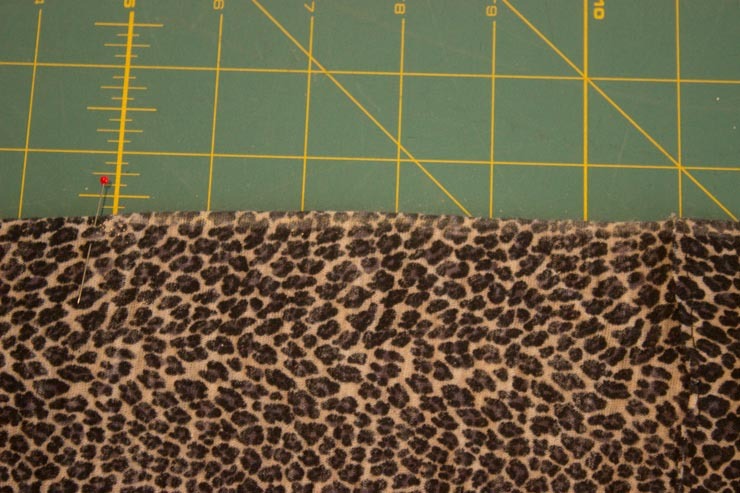 Press and turn the seam so the right sides are together, and stitch the final seam on your regular sewing machine. 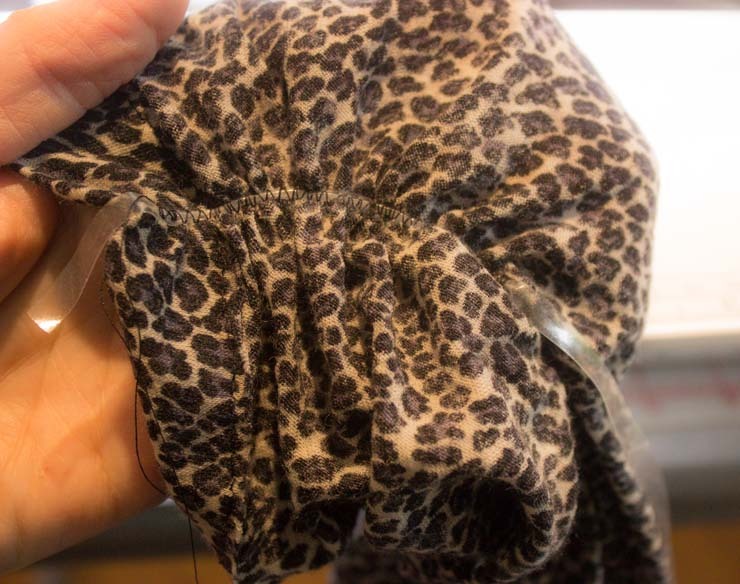 No little pokey thread sneaking out of your second seam. A miracle!